Each year we take time to recognize and honor the many cultures that grace our classrooms. Students and staff share something from their heritage. 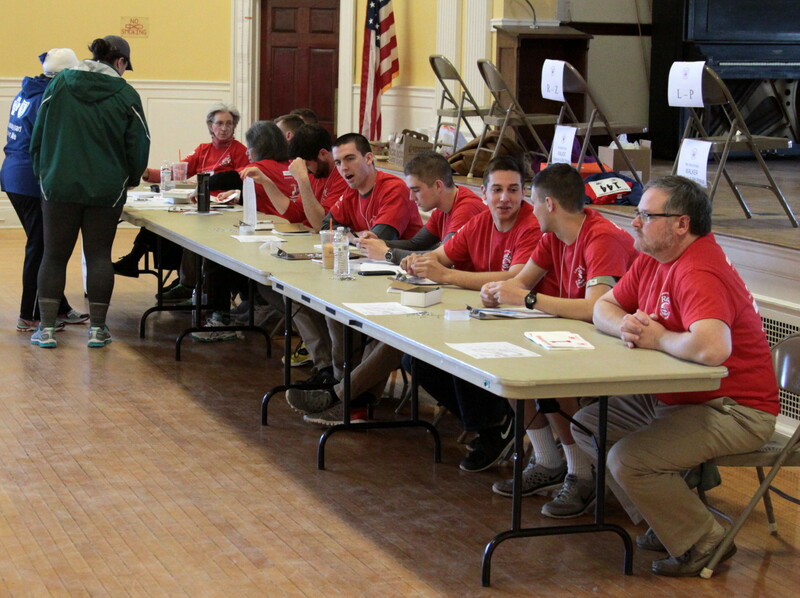 for two days last month, students, staff and volunteers celebrated and learned about each others’ cultures. 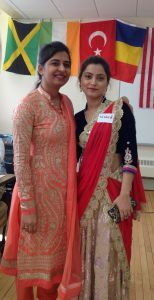 Each event offered everyone, Americans and immigrants alike, the chance to share a piece of their culture with someone new. Artifacts such as Russian nesting dolls and Indonesian currency were shared along with soccer team pennants, maps and musical instruments. 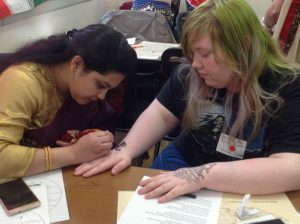 There were demonstrations of henna tattooing and Chinese calligraphy. The events also included exuberant performances and magnificent garments! 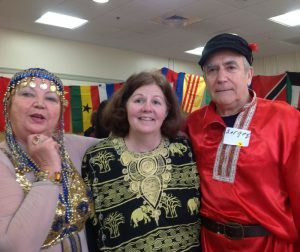 Wednesday’s event featured a Chinese love song, a Sherpa dance, baseball and Sweet Caroline (Bah-bah-bah!). The finale was a group sing-along of This Land is Your Land, accompanied by the Silver Strummers on ukulele. Of course, no celebration is complete without food. With over 50 countries represented, there was no lack of variety. Even mo re than having fun, eating good food and entertaining each other, this event fostered a sense of connection among students from many differe nt backgrounds, building and strengthening the bonds of our diverse community. Two students meeting for the first time, one from the Dominican Republic and one from the U SA, realized that they are neighbors!